Strindberg is located in Galleria Esplanad at North Esplanade. Restaurant dining room is at the 2nd floor. The atmosphere at this restaurant is urban, but at the same time pleasantly tranquil. Sometimes loud discussion might break it, but not too disruptively. On Thursday evening restaurant was almost full booked, which is a proof of popularity. 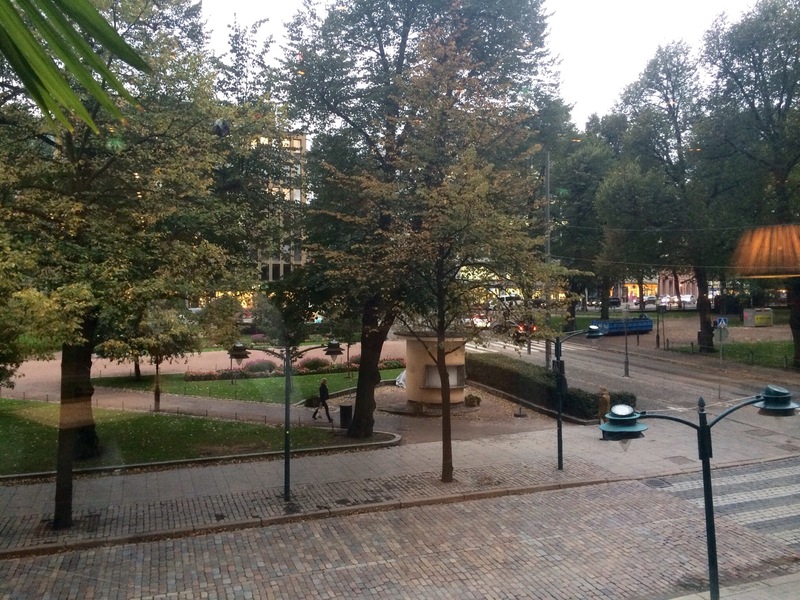 At street level is Strinberg café, very popular among tourists and Helsinki citizens. Just sit down, if you find a table and wait to be served, there is table service available. In the summer time table service applies also terrace, which is usually crowded, if weather is good. Maricafe is behind main cafe; there you can use Marimekko dishes and see Marimekko textiles. 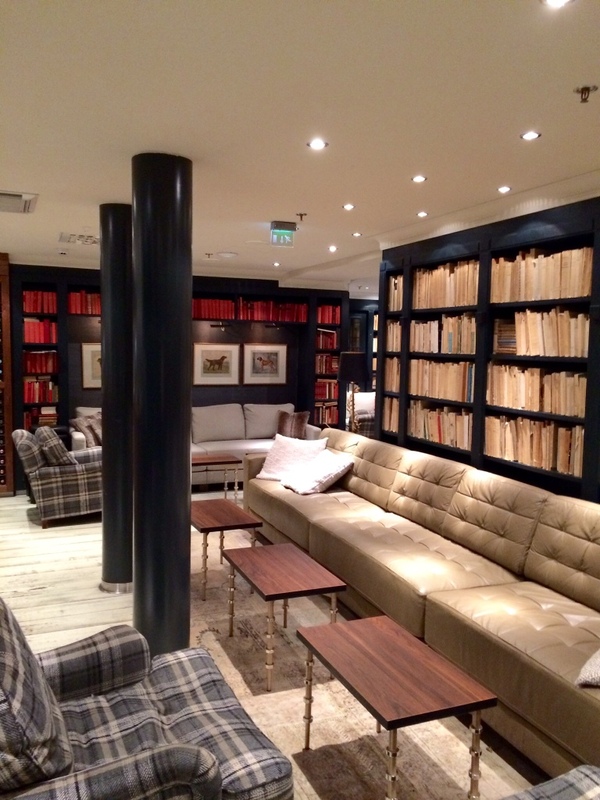 Library bar has become a popular rendez-vous spot for many. Worth a visit too, although you would not dine, because you can observe diners through glass window. For us, most visited bar for glass of wine after shopping or before dinner. There is also lunch spot Bakfickan behind the bar at the open gallery area. If you order sparkling water, you get San Pellegrino, one of our favourites. 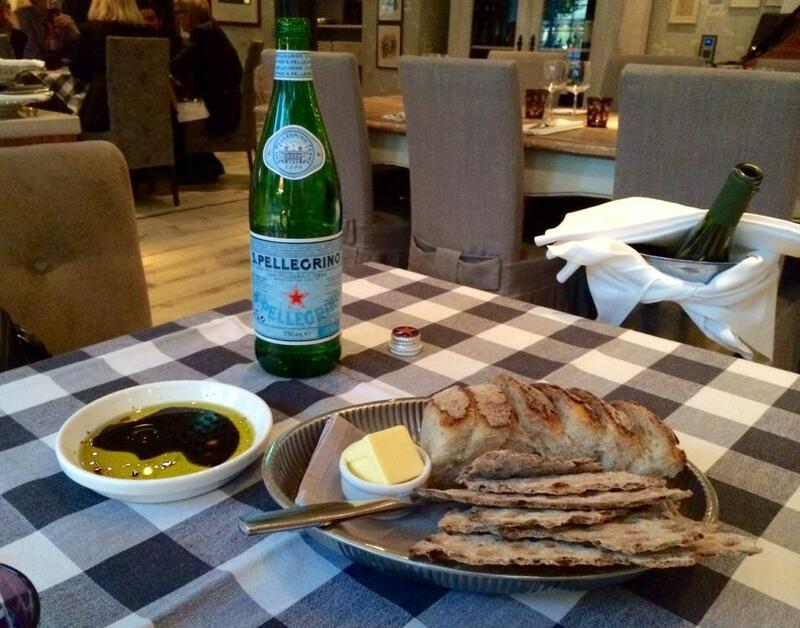 Bread basket included soft white bread and thin crispbread supplemented with hand made butter. Additional olive oil was brought to the table, because butter included lactose. For starters had King prawns with sweet pepper mousse and fennel and Tartare of slightly salted lavaret with beetroots and Dijonnaise sauce. 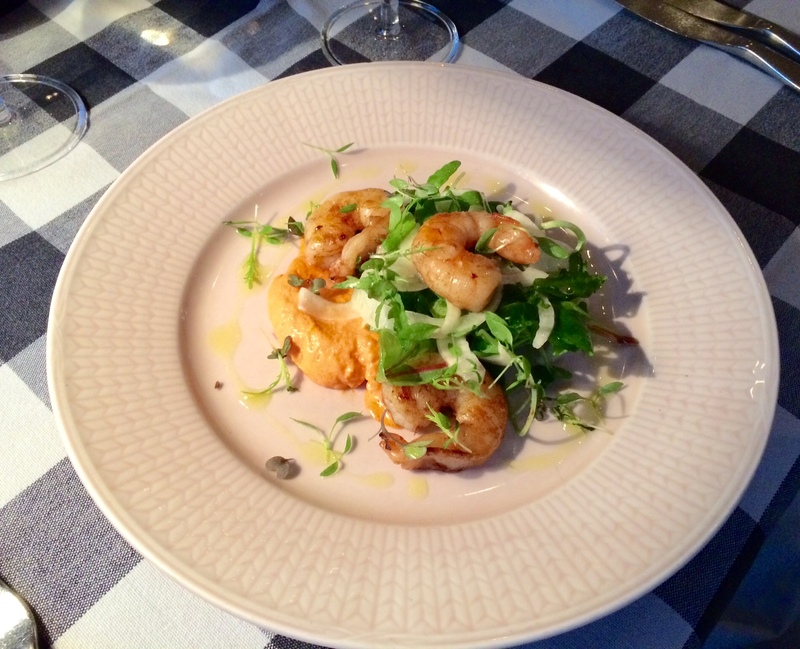 Prawns were tasty as well as portion as a whole. Missed, however, more flavor for mousse because taste of pepper was quite mild. 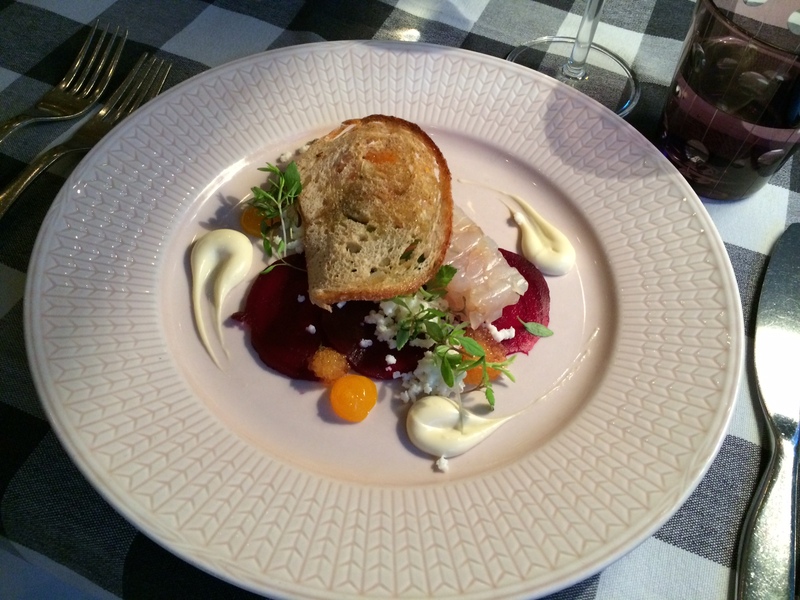 Whitefish tartare was also scrumptious and as beetroot is one of the best roots in Finland, could you ask more? Whitefish roe, egg yolk and white and sauce supplemented perfectly. For main courses ordered Roasted Arctic char with beetroot risotto and tarragon butter and Chargrilled salmon with béarnaise sauce and poached egg . Arctic char was perfeclty roasted, still some rose color inside the fish. Usually it is cooked too well-done and that ruins the enjoyment. 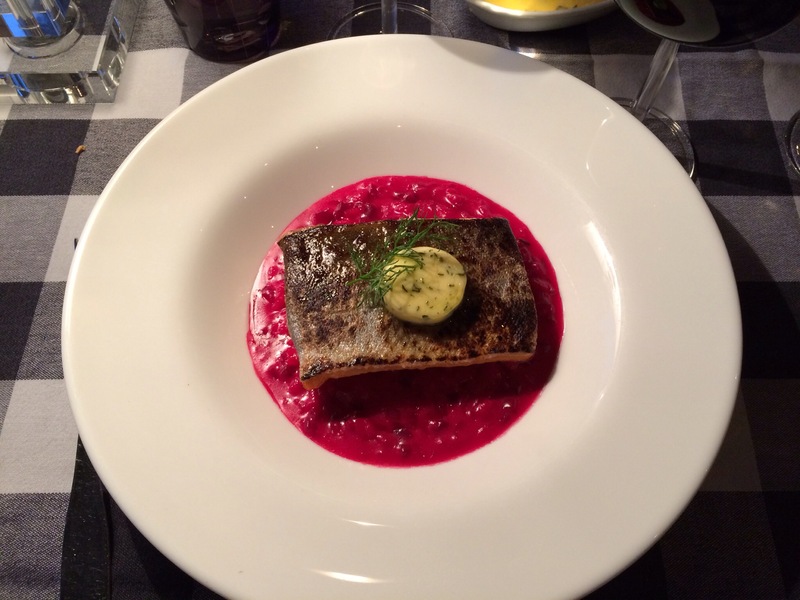 Beetroot risotto matched well with fish, almost sweet, which complemented nicely salty fish. Salmon dish is one of the classics, which has been on the menu for ages. Main course includes 3 salmon slices and starter 2, otherwise same. 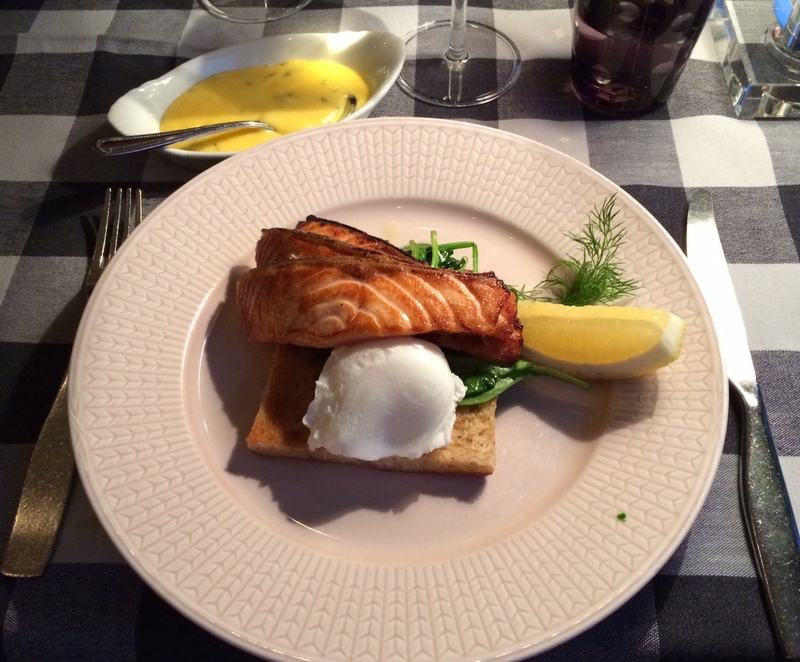 Chargrilled salmon is always delicious and if you like bearnaise sauce, this is a dish for you. Asked the sauce in separate bowl, because it might have ruined the taste of fish. Suggest to do that, if you try this portion. For desserts of course one of the classics, French toast (Köyhät Ritarit) and Cloudberry chiboust with cardamom financier. 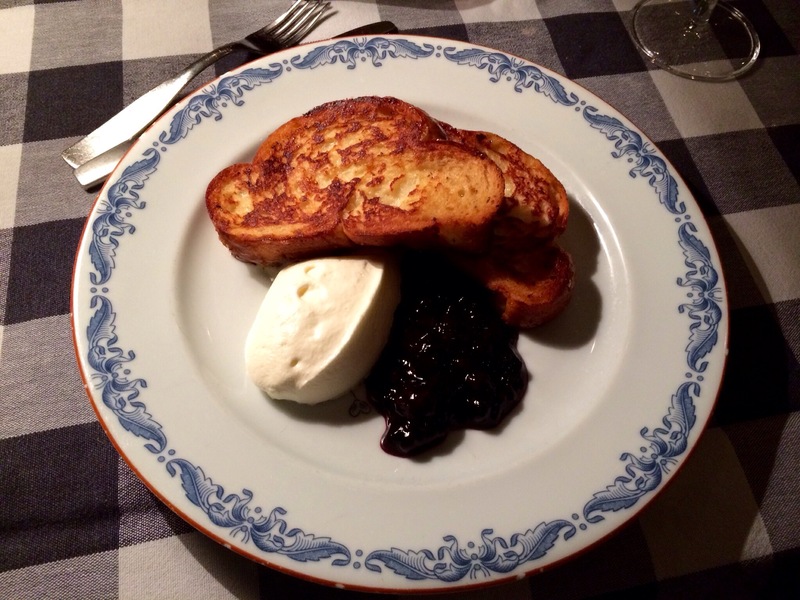 French toast is traditional dish and sometimes it is still made at homes. With add-on’s it makes your mouth drool, worth to try! Also other dessert was toothsome. 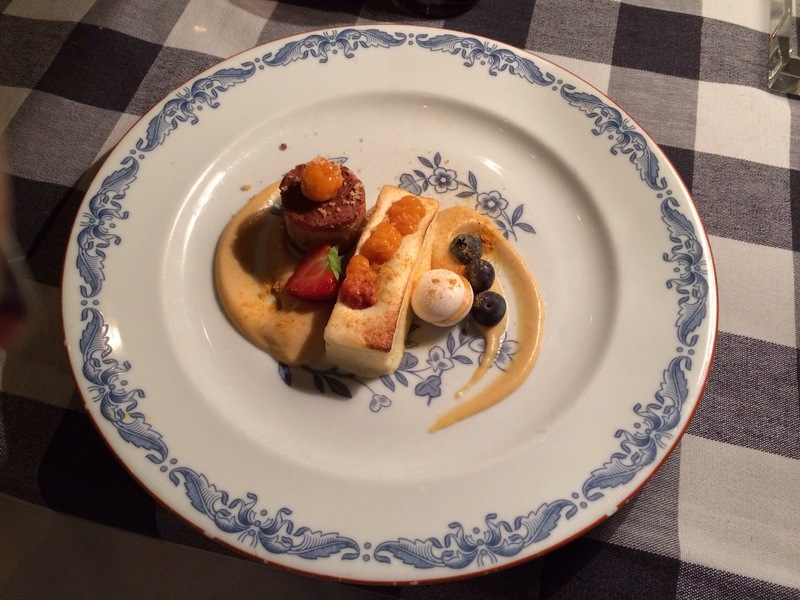 The cake in this dish was unfortunately so small, that almost ordered a second similar dish. And Finnish berries; cloudberry, strawberry and blueberry freshned up sweetness. 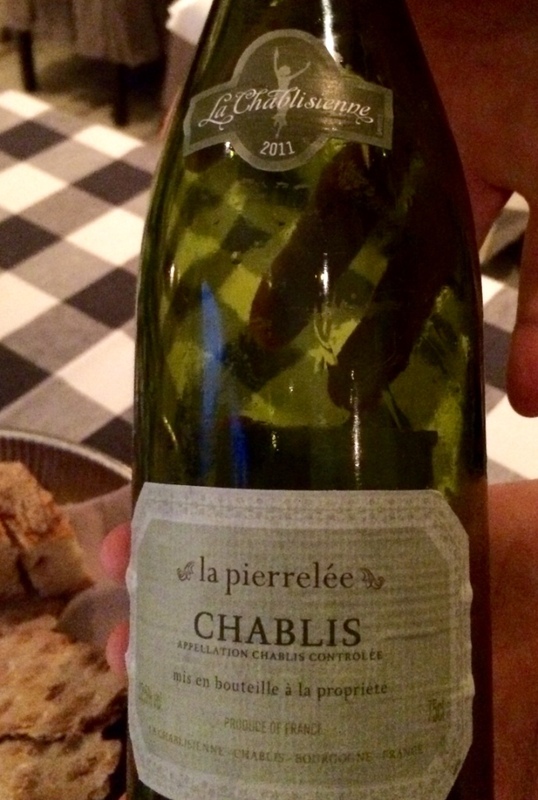 For wine we had some white wine; Chablis la Pierrelée , AC Chablis, La Chablisienne. Excellent choise for fish dishes, not available at Alko. Also some variation in the enjoyment of white wine as riesling has dominated so long. Strindberg never lets you down when it comes to food. There must have been some extra efforts for service, because it has always been professional, but this time also extremely attentive. 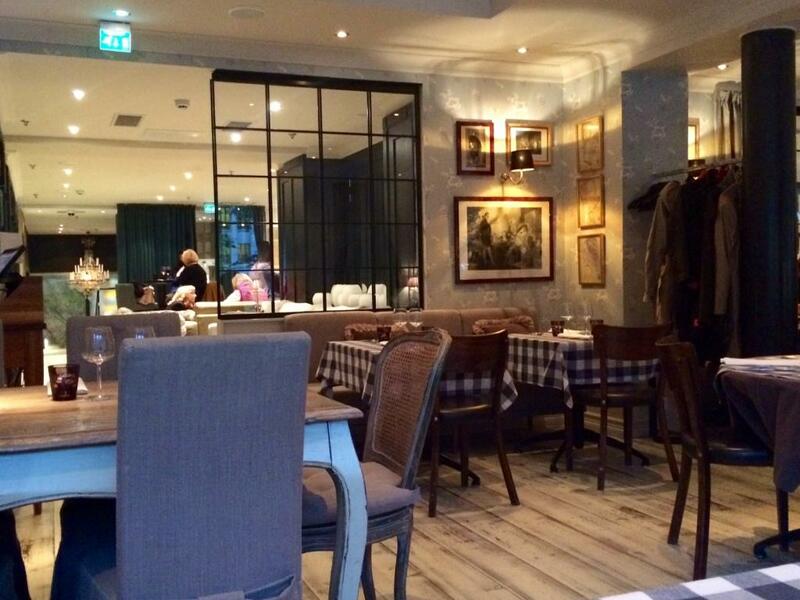 And location at the 2nd floor, if you are able to get window table, completes dining enjoyment. So, remember to ask for window table! I have been to all sections of Strindberg and enjoyed them all. One of the best Royal Ravintolat (Restaurants) Group owns.